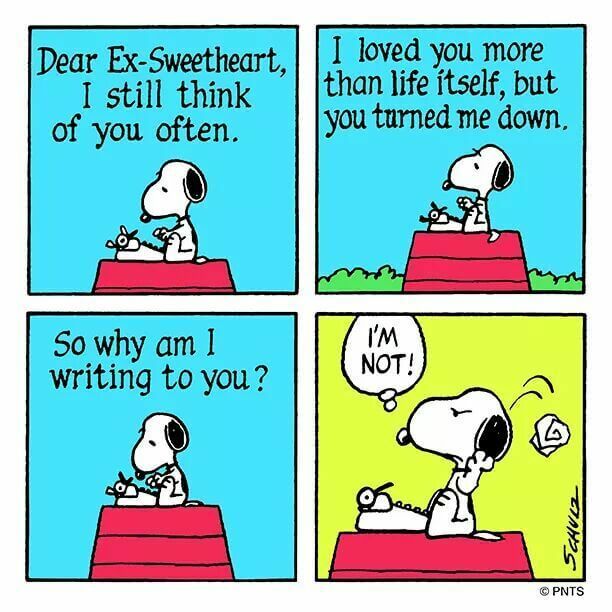 Snoopy’s advice on writing to ex-girlfriend. 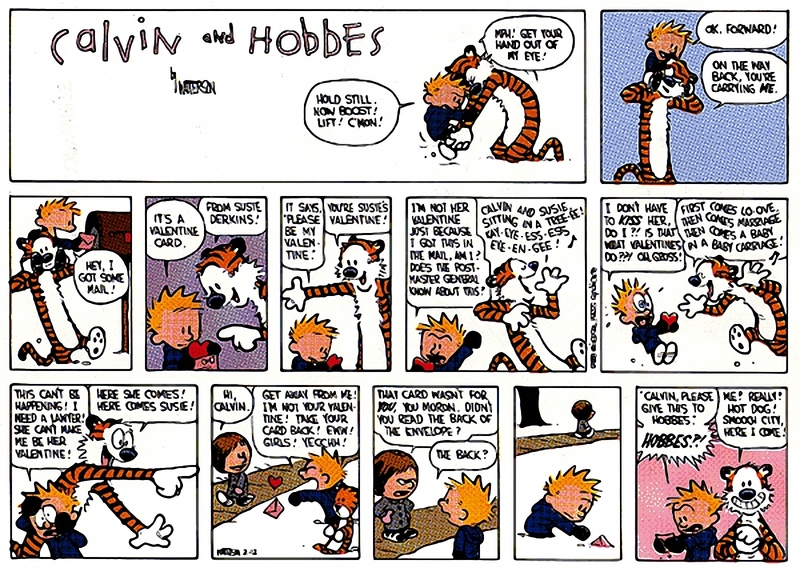 The dog and tiger totems of my childhood – Snoopy, Calvin and Hobbes on Valentines day. “Any grand plans for Valentine’s day?” quizzed Kaalicharan’s baritone. “But,” smiling sheepishly he added, “You aren’t a dog”. 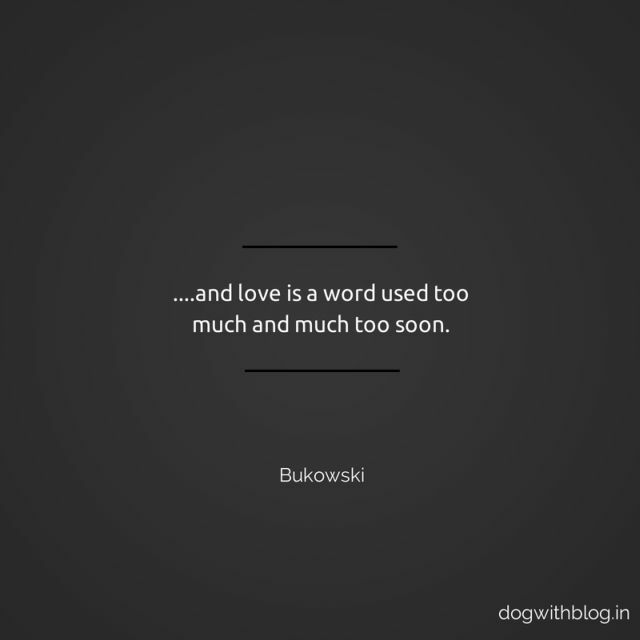 Kaalicharan seals the last word yet again. “Do you know what love is?” asked the Cat. With the alacrity of a hermit seeking life’s meaning, she would always ask me the pivotal question. It has been quite some time since then and yet I don’t have an answer. And I wonder if I ever will. Love; perhaps it resonates far across in a place as old as time─ seeping out somewhere in a terrain long forgotten; in the path of roving dogs or in the flight of the mynah. And who knows if it lurks in the tales which are themselves trapped in brazen boundaries ─ pregnant with a pungent past overriding the poignant present. And who knows for sure if salvation lies in recluse or lurks in love. For when you get too close to a person, the intimacy fades out the world. I must confess I have never been a fan of ‘Valentines Day’. Earmarking a solitary day in the calendar for the most passionate emotion in the universe confirms that the dollar has forayed into the cupid’s domain. Some of the most endearing tales I have known have had the love as a perennial plot. 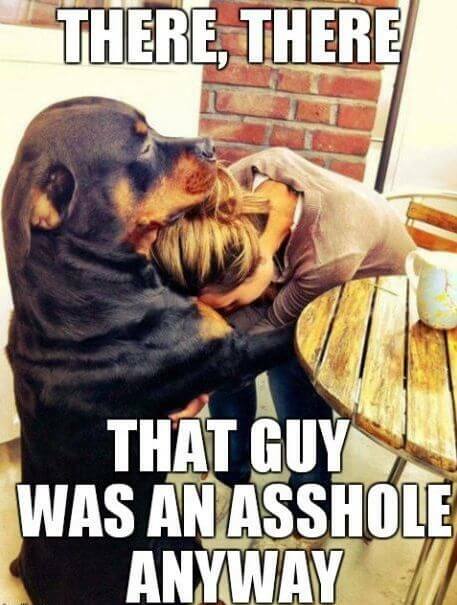 Dogs are the best Therapy. Carpe Diem! For, all that’s beautiful, drifts away like iridescent soap bubbles. Measured in moments; poetic in essence; lost in recollections. “Do you know what love is?” She inquires again. “Who is she?” she quips. Don’t get me wrong; I do like cats but its dogs I love.